Staph infections are one of the most common types of skin infections, but when unrecognized and untreated, they may pose a significant health threat. Staph infections have the potential to turn deadly, especially if the bacteria is given a chance to spread deeper into the body and enter the bloodstream, the joints, or essential organs like the heart or lungs. When this happens, fighting a Staph infection requires immediate medical attention. Staph infections are caused by Staphylococcus bacteria. This type of bacteria can live just about anywhere that you may already spend time, such as your home or workplace, gym or school. In fact, the Centers for Disease Control estimates that about 1 in 3 Americans are asymptomatic carriers of Staph bacteria—with the nostrils being a common site of colonization. Staph infections are frequent in hospitals due to the constant flux of patients, staff, and visitors. Unfortunately, people who are otherwise entirely healthy may develop a Staph infection after spending time in the hospital. Abscesses, or “boils”: This type of infection typically develops surrounding a hair follicle or oil gland and is large and pus-filled. Typically the skin over the boil will become tender and red. Impetigo: This is a highly contagious rash that causes redness and sometimes blisters to develop across the body. It may be identified by its characteristic honey-colored crust. Cellulitis: This is an infection that develops in the deeper layers of the skin, usually on the lower leg, causing redness and swelling to happen on the surface. In severe cases, this may also cause ulcers to develop. If one of these types of infections develop suddenly, and without a known cause, it is important to consult with your dermatologist immediately to determine if Staph is present. Staph infections are most dangerous when they reach the bloodstream. This refers to the development of septicemia, also known as “blood poisoning.” The first indications that a Staph infection may have entered your bloodstream include a fever and a sudden drop in blood pressure, which will commonly be followed by pain and fatigue. If you suspect that you may have a Staph infection, do not wait to seek treatment. 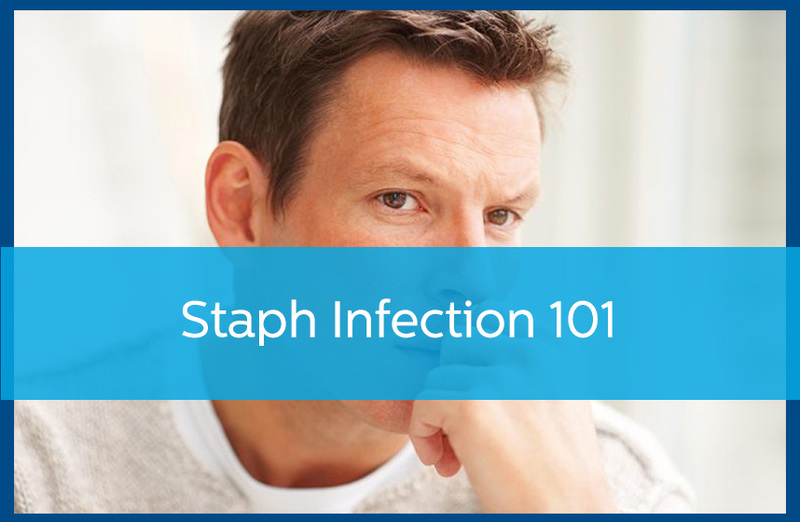 Staph infections are typically treated with topical or oral antibiotic medications, but sometimes a procedure, such as an incision and drainage, is necessary. Evaluation and management should begin quickly. The longer you wait, the more likely you are to experience complications from this infection. Seek credible help from a reliable dermatologist. Learn more about how Avail Dermatology can help you by calling 770-251-5111 or by scheduling an appointment with us today.